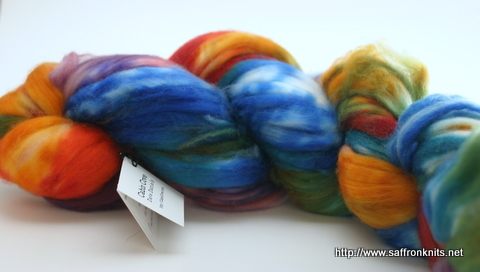 I’ve been working with some hand painted fiber from cabin cove … wait … what’s that lurking in the background? It’s my new spindle! Isn’t it loverly? 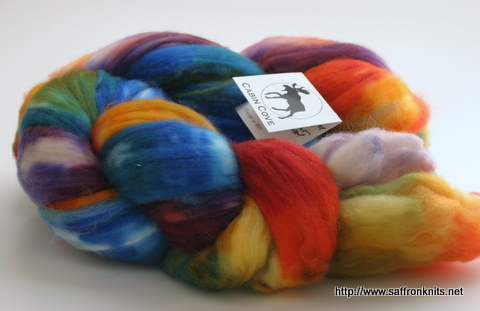 I love kokopelli and have been drooling over wanting to buy it since the summer, but it wasn’t available until the fall. It’s hand made by Tracy from Woolly Designs. It’s a half-overlay – weight – 0.9 ounces and it has a notch unlike my other spindle. I looked at the book multiple times at the bookstore, but really couldn’t justify buying a book if I only liked one pattern – Chevron Scarf…and I didn’t used to like this pattern. I totally blame Tiennie for that. I visit her blog often, so when she made one, I thought ‘How nice.’ and didn’t think any more about it. Then she made another one and I thought, ‘How pretty.’ and admired it for a bit then went on my merry way. THEN… she made a third one… Now I wanna make one. I knew what it was gonna be before I even got it. 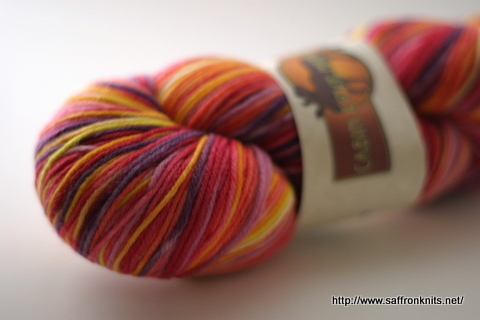 I could picture it in my head… so after a few days of admiring (and petting) the skein, I finally wound Carnivale into a center pull ball and cast on. 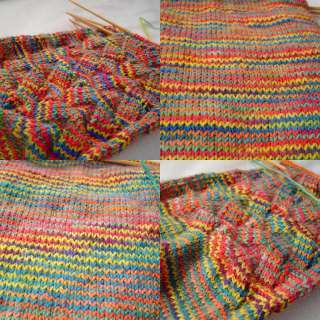 I’m not using a pattern, really … I got some guidelines for size from another pattern, chose a stitch pattern and started knitting. In other news, my dear friend Sira now has a knitting blog!!!! I’m so happy about this! 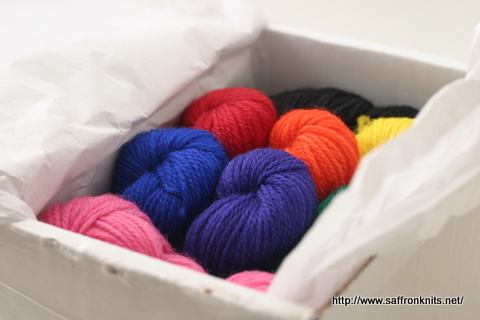 Please take a moment to stop by and say hello and welcome her to Knit Blog Land! 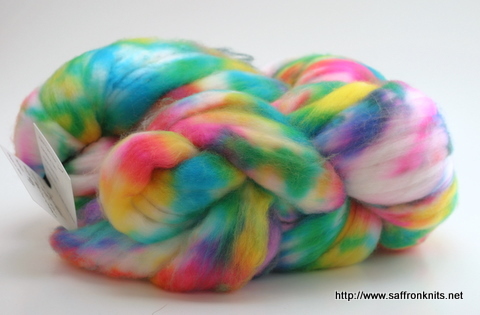 See what I’ve been spinning? Why Dave’s Cabin Cove Mercantile of course. It’s been been stocked full of fibery goodness … different sorts of yarn (including some gorgeous yarn handspun by Dave) and something new, spinning fiber. And don’t forget to checkout the Cabin Cove Cards that feature some of Dave’s photography. Well… that’s all I have to say … so why don’t you just go visit Cabin Cove Mercantile and see for yourself. Not much goin’ on here anyway. …I couldn’t help but smile. 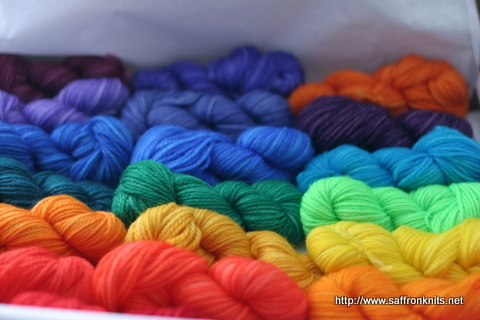 And as always, the yarn is much more beautiful in person. I was right. It did make me happy. Thanks, Dave. Yeah … Dave updated the Cabin Cove Mercantile and this time I got there in time to get some goodies. Yay! So… alas … stick a fork in me. 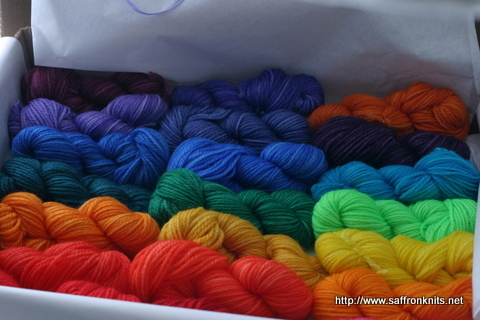 I’m done… buying yarn for the next month (except for Sockapalooza). 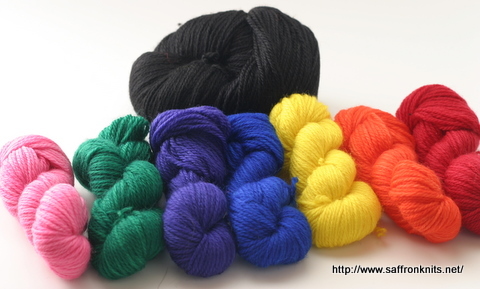 I know … famous last words … but I’ve been buying yarn behind the scenes, each one with a project in mind. Now I wanna do them. Learn a couple of new techniques. Finish more objects that I hope will be Christmas presents. And other stuff I have in mind. But for now , I’m gonna sit by my mailbox and wait for my yarn to arrive. Here’s another look at my sock – I forgot to show you the bottom. Look at the cool stripy-ness. I spent last week practicing the sherman heel and I’m about 85-90% happy with the results. I think I eliminated the big holes on the knit encroachment but it’s still looser than the purl encroachment. Oh well. I still like it better than the wrap or yarn over short row heel. 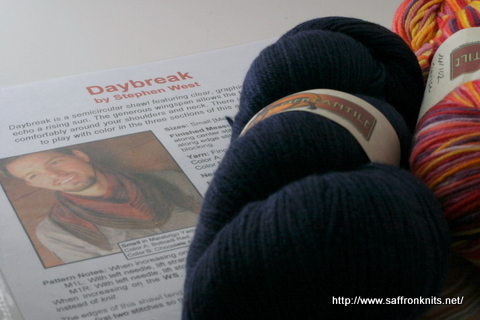 Soft yarn and a nice book. What more could a gal ask for? p.s. 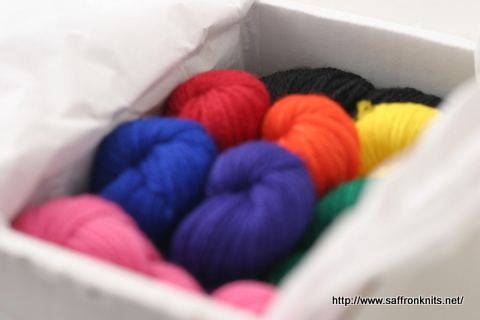 I added links about combination knitting on the Knitting Resources page. It’s a bit more purpley than shown here. I’ve been hard at work on the Sherman Style short row heel (I just discovered it on Tuesday)… but before I talk about that, I want to share something I’ve discovered in the process. I have been doing the purl stitch in such a way that it ends up on the needle backwards, causing me to have to knit from the back loop in order to not have twisted stitches. I’ve been knitting for a year and I only noticed this last night. To be fair, most of the projects I’ve worked on have been either garter stitch or stockinette in the round. What this means is THIS SCARF has a bunch of backward stitches and no I’m not ripping it out. What this also means is that working on this scarf will be much easier so there’s a better chance of finishing it soon. The colorway of the scarf is one of Dave’s earlier works. 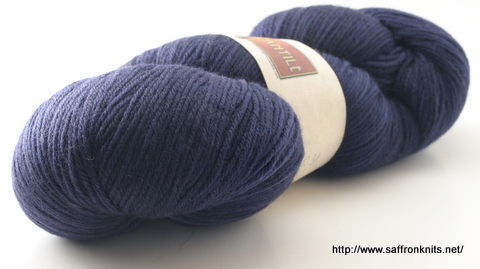 It’s 100% Australian Merino wool and so soft. Softer than the sock yarn. 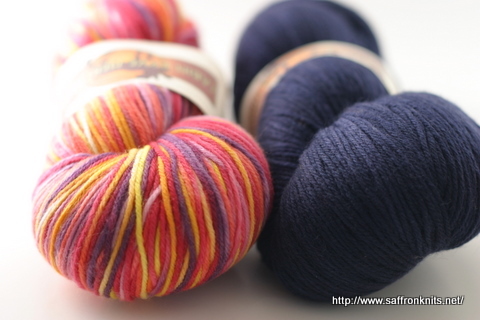 I’m so glad I have two more colorways of this yarn ’cause it’s such a pleasure to work with. I think I’ll be finishing this scarf sooner than later. YAY! as I was typing this post, the mail carrier handed me my recent purchase from Cabin Cove Mercantile. Yippee!!! Soon I’ll be holding the Summer Sky in my hands! This picture is a little deceiving … it makes it look better than it actually is. This is the better side, what you can’t see is as big hole at the base of the heel. and I forgot to pick up the wraps at the top of the heel. 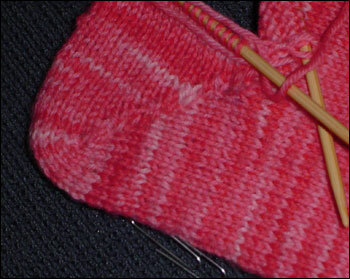 And the other side is not very attractive – I did have to rip it out twice before getting to this – the first time, after I realized the problem with my purl stitch, I ended up with a nice ‘ladder’ down the center of the heel. *rolls eyes* But this is supposed to a learning experience so hopefully, what I learned will help when I start working on the 2nd heel. That’s it for now. Thanks for the nice comments on my previous post!